Theoretical physicist Sekazi Mtingwa, a former Fermi National Accelerator Laboratory scientist and principal partner with Triangle Science, Education & Economic Development in North Carolina, will share the 2017 Robert R. Wilson Prize for Achievement in the Physics of Particle Accelerators for groundbreaking theoretical work that helped researchers understand and cope with an important constraint on the intensity and focus of particle beams in accelerators. Mtingwa shares the award with theoretical physicists James D. “BJ” Bjorken, professor emeritus at Stanford University and the SLAC National Accelerator Laboratory, and Anton Piwinski scientist at the national research institute Deutsches Elektronen Synchrotron (DESY) in Germany. Mtingwa is the first African-American scientist to receive a prize from the American Physical Society. (Note: The American Physical Society offers both prizes and awards, each of which APS defines differently.) In 2015 he was also recognized for his work in nuclear energy policy with the American Nuclear Society’s Distinguished Service Award. In 1974, Piwinski, who was working at DESY, created the first fairly complete model of intrabeam scattering in accelerators and storage rings and followed this with more detailed descriptions, according to a nomination letter submitted by Herman Winick, a research professor emeritus at Stanford University and deputy director emeritus of SLAC’s Stanford Synchrotron Radiation Lightsource. Winick added that hundreds of papers on intrabeam scattering have been published since then, all based on the seminal models developed by these three scientists, who are also well known for other important achievements in physics and in society. Mtingwa joined Fermilab in 1980 as a postdoctoral researcher in the field of quantum field theory. He became part of the high-energy theory group and taught part-time as a visiting assistant professor of physics at the University of Illinois at Chicago. During his second year at Fermilab, he started working with Bjorken on intrabeam scattering. One of the many problems that accelerator operators have to overcome is intrabeam scattering — the tendency of protons or electrons that are circulating in a beam to repel each other, collide and scatter. This spreads the beam out and reduces its focus and intensity. Discovered in the 1960s, intrabeam scattering is a persistent headache at all sorts of accelerators, including big particle colliders like the Large Hadron Collider in Europe and rings that circulate electrons to generate X-ray light. To counter this effect, researchers needed to thoroughly understand it. That’s where theory comes in. Mtingwa worked at Fermilab until 1988, when he accepted a position as a physicist at Argonne National Laboratory to pursue futuristic kinds of accelerators called plasma and dielectric wakefield accelerators. Later on, he served as director of SLAC’s Energy Research Undergraduate Laboratory Fellowship Program in 2002. He also previously served on the DOE Nuclear Energy Advisory Committee’s Nuclear Fuel Cycle R&D Subcommittee. He was co-founder of the African Laser Centre, a nonprofit based in South Africa that promotes laser science in Africa. 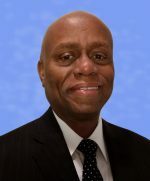 As president of INCREASE, which is a consortium of minority-serving institutions based at Hampton University in Virginia, he played an important role in increasing the number of faculty and students from these institutions that became users. He has remained in the field of theoretical accelerator physics and, most recently, has been a major player in the effort to build the first X-ray light source facility in Africa. Editor’s note: On Oct. 13, we added to this article a clarification on the difference between an APS award and an APS prize. A number of African-American physicists have previously received awards from the American Physical Society.